We have been hearing about this for a long time now. 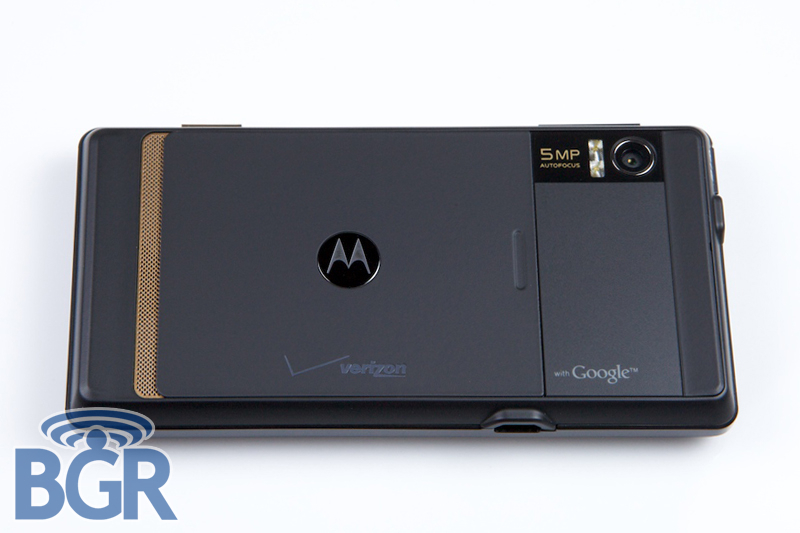 Motorola's latest [And]Droid (was also reffered to as 'Sholes') was finally revealed, thanks to our very lovable Mr. Boy Genius. BoyGeniusReport laid down his hands on the device and shot some pics of it for us all to drool over. Check out the pics below and drool! Lets take a look at some of the features of this phone. Its being powered by Android 2.0 (yes, its Android 2.0 , codenamed 'eclairs', and its still not officially out!). It’s marginally thicker than the iPhone 3GS. The heart of the device is Texas Instrument's OMAP3430 CPU and it beats pretty fast. The screen-size is also huge and is a capacitive touchscreen. 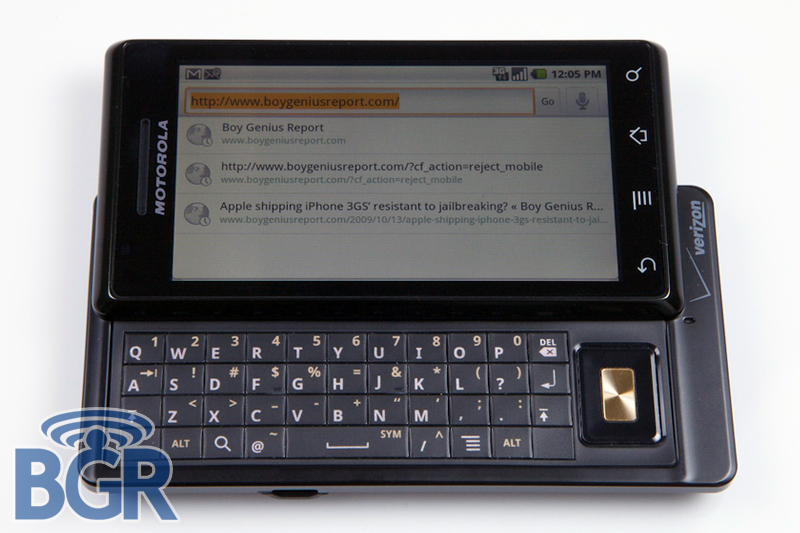 Theres also a sliding qwerty keyboard which otherwise lies underneath the screen. And it will be coming with Verizon. Motorola has been playing this game for quite a long time now. Every time they launch a new phone, there is huge amount of noise associated with it. Words like "This is a phone on which Motorola is banking heavily and this phone will be deciding Motorola's future" or "If this phone fails Motorola will quietly exit the Mobile Phone market" are being heard (They did this with Motozine ZN5, then CLIQ and... ). However every time they manage to come out with a new and better phone. The Droid is much better than Cliq (atleast it seems so!). Head to BGR for more.